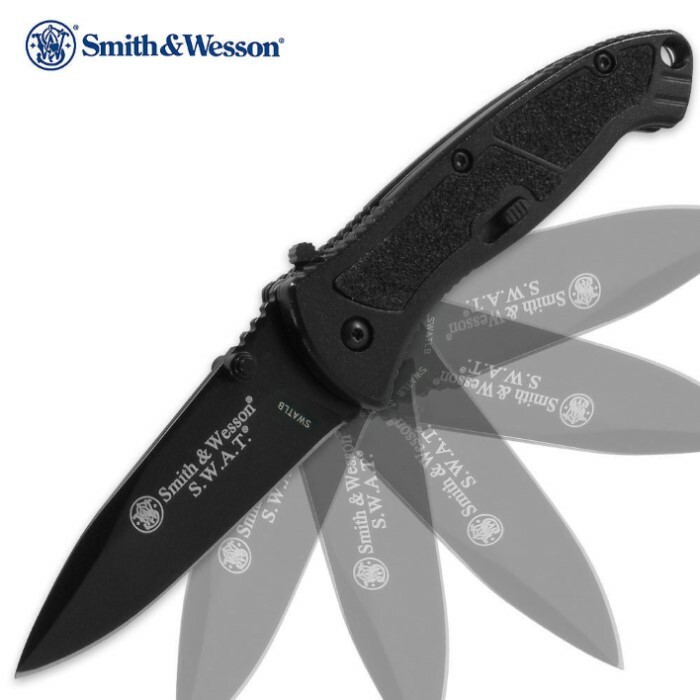 Enjoy Smith & Wesson quality in the Smith & Wesson S.W.A.T. assisted opening folding pocket knife, featuring a 4034 stainless steel drop point blade with a T6061 aircraft aluminum handle with black rubberized inserts. Smith & Wesson's M.A.G.I.C. assisted-opening mechanism propels the blade open at an astonishing speed, giving you an assisted-open folding pocket knife you can count on.